One of The Barker Adoption Foundation’s hallmarks is its commitment to post-adoption services. Our services do not end when a child is placed with a family, for we recognize that adoption is a lifelong journey, with normal developmental challenges and tasks. An increasing body of literature supports the idea that post-adoption supports and services serve to strengthen families created through adoption. Barker is committed to providing these supports and education to all members of the adoption circle: adopted persons, birth parents, and adoptive parents. Barker’s post-adoption services are available to all touched by adoption. You are welcome to use Barker’s counseling services and groups and to participate in any of the workshops and educational programs offered through Barker regardless of whether your adoption experience was with Barker or another agency. Below you can find information about specific services, fees, and educational opportunities available to you or a loved one. Please also check Barker’s Event Calendar for the latest updates. Also, if you are connected with Barker but you don't think we have your latest information and/or you'd like to receive updates about relevant events, groups, and workshops, please contact the Family and Post-Adoption Services Department at 301-664-9664 or by email at postadopt@barkerfoundation.org. The Barker Adoption Foundation is committed to providing lifelong services to birth parents and to other members of the adoption circle. Barker has provided extensive support and counseling to over 30,000 birth parents since 1945 and offers assistance and counseling long after the actual placement of a child for adoption. During the first year(s) after placement, it is normal for many birth parents to experience feelings of grief and loss. Barker’s birth parent counselors continue to provide support and counseling during this time. In later years, experienced counselors in Barker’s Family and Post-Adoption Services Department are available to provide counseling on a range of issues. These include processing feelings about the adoption, navigating relationships (if in open or semi-open adoption) with the adoptive parents or child, explaining the adoption to any other children, and searching or reconnecting with birth children. For over 25 years, Barker has facilitated a monthly discussion group for birth mothers and birth fathers. The group is open to anyone who ever placed a child for adoption, whether through Barker or another agency. The group provides a supportive, safe, and welcoming place where birth parents can talk about their experiences and explore their feelings and thoughts with others who have faced similar issues. 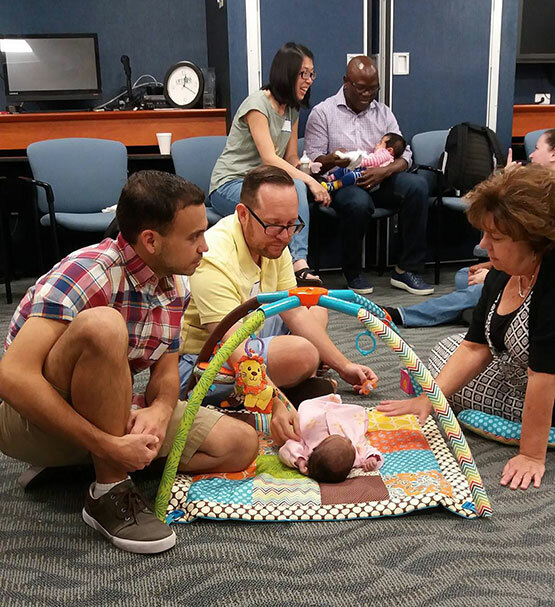 The group is facilitated by a Barker social worker and meets the second Thursday of every month from 7 to 9 p.m. at Barker’s Bethesda office, or check out Barker’s Events Calendar. For birth parents in semi-open adoptions (who share update letters and photographs on a non-identifying basis), Barker serves as the intermediary with the adoptive family by forwarding letters, updates, and requests for information. Barker also can support those involved in open adoptions, arrangements that an increasing number of birth and adoptive parents are choosing. As in all relationships, complicated, unexpected, or challenging issues sometimes arise, and birth or adoptive parents may feel the need to seek professional guidance. Barker can help them to navigate these unique relationships to maximize the benefits of open adoption for all members of the adoption circle. Birth parents who have placed children through Barker may initiate the process of searching for the children they placed if those children are now of adult age (18 for adoptions finalized in Washington, D.C. and Virginia, and 21 for adoptions finalized in Maryland.) Please contact Barker’s Family and Post-Adoption Services Department at 301-664-9664 or by email at postadopt@barkerfoundation.org for more information. Barker strongly encourages any birth parent who has placed a child through the agency to keep in touch and make sure Barker has current and updated contact information. You may provide your current contact information here. This information will remain strictly confidential and will not be released without written permission. Having up-to-date information is helpful in the event that we need to contact you. You may share updated contact information by email at postadopt@barkerfoundation.org. Barker’s highly regarded annual adoption and foster care conference in the Washington, D.C., area offers the opportunity to hear from some of the nation’s leading adoption experts and from all members of the adoption circle about their experiences navigating the adoption journey. Birth parents frequently help plan our conference, speak on panels, and shine a spotlight on birth parent issues. Over the past several decades, birth parents have found Barker’s conference to be a highly beneficial source of information and support. The Barker Adoption Foundation is committed to providing lifelong support to adoptive parents. Our services include offering consultation and assistance as adoptive parents guide their children through early childhood, grade school, adolescence, and beyond. Post-adoption programs for adoptive families begin shortly after the child is home. 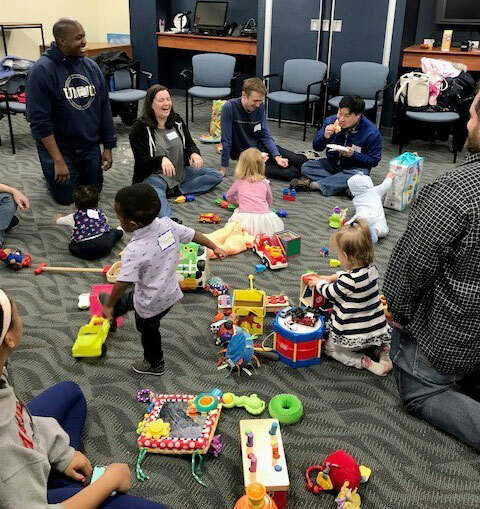 Several times each year, Barker hosts a four-session New Parent Group, which offers newly adoptive parents the opportunity to meet others who have recently adopted, to discuss shared parenting and adoption issues, and to build a sense of community. These groups are also open to non-Barker adoptive families. The groups are facilitated by a Barker social worker, and the newly adopted children add special delight to the group. Always well received by families who attend them, the groups have been instrumental in helping many adoptive families form long-term friendships with other attendees. Please check the Barker Events Calendar for updated listings of workshops. Barker’s counselors have extensive experience in adoption and are available to provide brief or longer term individual counseling and support on a variety of issues that can arise for adoptive parents. These may include exploring how adoption may affect family dynamics, evaluating whether a child’s challenges are adoption-related or part of typical development, helping a child understand his or her adoption story, strengthening relationships in adoptive families, navigating the complexities of relationships in open adoption or after a search and reunion, and evaluating and managing a child’s learning differences and challenges. Parents of Adopted Teens and Parents Who Have Adopted Older Children: Meets on the first Tuesday of each month from 7 to 9 p.m.
Parents of Adopted Young Adults (ages 18+): Meets on the second Tuesday of each month from 7 to 9 p.m.
All groups are held at Barker’s Bethesda office, and new members are always welcome, regardless of whether their adoptions were through Barker or through another agency. For more information on any of Barker’s groups, please call 301-664-9664, email postadopt@barkerfoundation.org, or check out the Barker Events Calendar. For families in semi-open adoptions (who share update letters and photographs on a non-identifying basis), Barker serves as the intermediary with birth parents by forwarding letters, providing updates, and facilitating requests for information. Barker also can support those involved in open adoptions, arrangements that an increasing number of birth and adoptive parents are choosing. As in all relationships, complicated or challenging issues sometimes arise, and birth or adoptive parents may feel the need to seek professional guidance. Barker can help them to navigate these unique relationships to maximize the benefits of open adoption for all members of the adoption circle. A trip to an adopted child’s homeland is a wonderful experience, and many adoptive families are now traveling either with groups or independently to visit their child’s country of origin. These trips are highly enriching, and yet they can also raise questions and unexpected emotions for both the child and the adoptive parents. Barker offers consultation to adoptive families before they take a homeland trip. Our support is designed to assist parents in exploring both their child’s and their own aspirations, apprehensions, and expectations for the trip, as well as to help strategize with families about how to best maximize their trip experience. Barker facilitates a semi-annual Homeland Tour to Colombia, which is a unique and often life-changing experience for families who adopted their children from Colombia. The trip is geared toward families with teens or young adults ages 13−25 and is designed as an introduction to the child’s birth country, offering opportunities to experience Colombia’s rich culture. 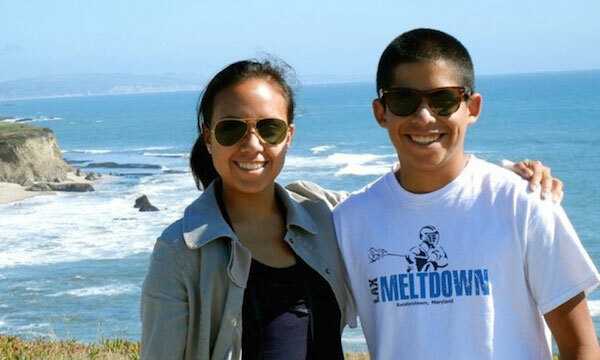 The trip is not only cultural but also designed to integrate their adoption stories and histories. All participants also have an opportunity to visit FANA, Barker’s adoption agency partner in Colombia, meet with a staff social worker to learn about the child’s personal history, and spend time with other children and staff. They may also visit with expectant mothers who are considering placing their children for adoption. For more information on the next trip, please contact Sue Hollar at 301-664-9664 or by email at shollar@barkerfoundation.org. Barker’s highly regarded annual adoption and foster care conference in the Washington, D.C., area offers the opportunity to hear from some of the nation’s leading adoption experts and from all members of the adoption circle about their experiences navigating the adoption journey. Adoptive parents have found Barker’s annual conference to be a highly beneficial source of information on parenting adopted children, accessing resources, learning about the latest trends in adoption, and networking with other adoptive parents. The Barker Adoption Foundation Kids’ Groups are held several times a year. These workshops are divided into age-appropriate groups and are facilitated by a Barker social worker. The groups provide safe, supportive, and fun environments in which children can express their feelings about adoption, ask questions, learn how to talk about adoption in a way they are comfortable with, and share their adoption stories. 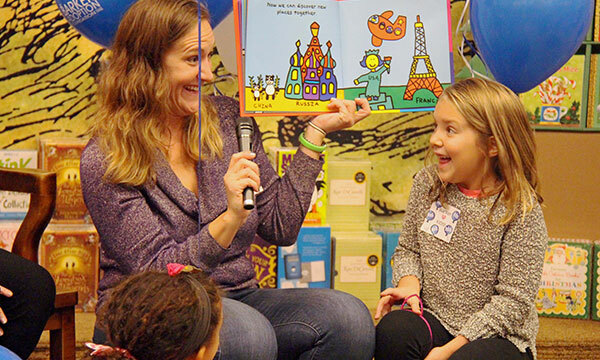 The activities are structured and include games, coloring, crafts, and age-appropriate discussions about various adoption-related issues. At the end of each session, parents have the opportunity to meet with the facilitator to hear about the topics discussed with the children. Please check Barker’s Event Calendar for dates of upcoming activities and to register. Barker Teen Connections is held every fall at the National 4-H Center in Chevy Chase, Maryland. The program includes both indoor and outdoor activities, an opportunity to share experiences with other teens who were adopted, and participation in a community service project (community service credits can be provided). The program is facilitated by adoption professionals and always includes at least one facilitator who was also adopted. 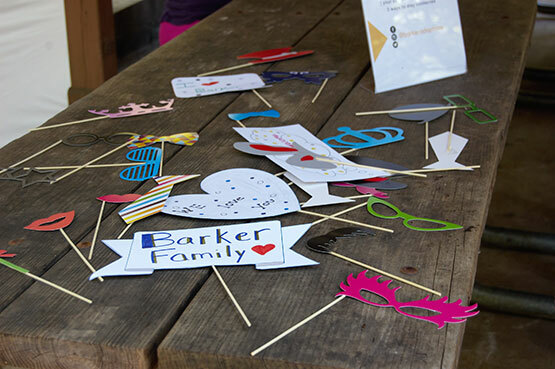 The Barker Adoption Foundation’s Family and Post-Adoption Services Department offers a variety of services specifically geared to adult adoptees. Whether or not your adoption was through Barker, adoptees older than 18 are all welcome to attend our Adopted Persons Group or to request individual counseling from Barker social workers, all of whom have extensive experience working with all members of the adoption circle. Every adoptee has his or her own unique feelings about being adopted. For some, feelings about adoption may periodically arise, yet generally remain “back burner” issues in their lives. 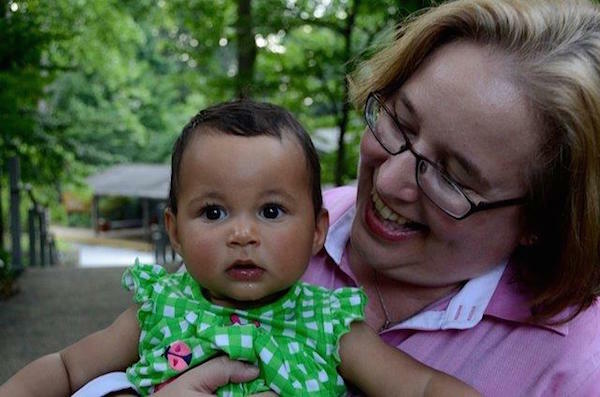 For others, feelings about adoption can be more complex or dominant. Barker’s experienced counselors are available to provide brief or longer term individual counseling and support on a variety of issues that may arise. Adoptees have found Barker’s counseling helpful as they explore their adoptive identity, seek to understand how adoption may affect identity, understand loss and intimacy, examine relationships with family and friends, and navigate the complexities of the search and reunion process. Barker facilitates a monthly discussion group for adopted adults to explore adoptive identity and issues of common interest. Participants who either are considering or are in the search and reunion process have found the group to be a supportive peer framework for learning from the experiences of others, exploring and sharing new ideas, and processing feelings and emotions. The group is open to any adopted adult regardless of the agency that they were adopted through. It is facilitated by a Barker social worker who is also an adopted adult. The group meets the third Thursday of every month from 7:30 to 9 p.m. at Barker’s Bethesda office, or check out Barker’s Events Calendar. Adults who were adopted through Barker may request non-identifying background information that is contained in their files. A summary of non-identifying information can be shared in a written report that is prepared by a Barker agency social worker. Depending on the amount of information in the file, this may include medical information, social history, circumstances of birth parents at the time of placement, birth history, foster home information, and information related to contact, if any, received from the birth parent since placement. Adults who were adopted through Barker may ask to initiate a search process to seek out birth parents and determine whether they are interested in contact. Please contact the Family and Post-Adoption Services Department at 301-664-9664 or postadopt@barkerfoundation.org for more information. Barker’s highly regarded annual adoption and foster care conference in the Washington, D.C., area offers the opportunity to hear from some of the nation’s leading adoption experts and from all members of the adoption circle about their experiences navigating the adoption journey. Adopted adults have found the conference to be helpful in exploring adoptive identity, learning about the experiences of others in search and reunion, hearing about the latest trends in adoption, and networking with other adult adoptees. Barker strongly encourages any adult who was adopted through Barker to make certain that Barker has current and updated contact information. You may provide your current contact information here. This information will remain confidential and will not be released without written permission and authorization. Yet it is very helpful in the event that a birth parent contacts the agency and initiates a search; your contact information enables us to communicate with you and ascertain your desire to take next steps in opening an adoption. You may send updated contact information by email to postadopt@barkerfoundation.org. If you are an adoptee or an adoptive family, please join us on a homeland tour. We have trips for adult adoptees as well as trips for the whole family for Colombia and South Korea, with more countries to come. Please contact our Family and Post-Adoption Services Department for more information on upcoming tours. Meets on the third Thursday of each month from 7:30 to 9 p.m. This group is open to any adoptee who is over age 18. Topics discussed include adoptive identity, relationships with adoptive families and birth families (if applicable), and feelings about search and reunion. ​Meets on the second Tuesday of each month from 7 to 9 p.m. This group is geared toward parents of young adult adoptees (18+) and focuses on issues including fostering independence and identity, encouraging positive choices, navigating evolving family dynamics, maintaining personal boundaries, and managing substance use problems. ​​Meets on the first Tuesday of each month from 7 to 9 p.m. This group is geared toward parents of adopted youth from ages 13 to 18. Topics covered include fostering independence, coping with academic challenges, encouraging positive choices, maintaining boundaries, managing substance use problems, understanding emerging adoptive identity, and navigating relationships with birth families. Meets on the second Thursday of each month from 7 to 9 p.m. This group is geared toward any parent who has ever placed a child for adoption, whether this past year or 30 years ago. Participants have found the group to be a nurturing framework to meet with peers and explore issues including grief and loss, resolution, and relationships with the adoptive family (if applicable). The Department of Family and Post-Adoption Services is pleased to present events and workshops for everyone within the adoption constellation. We hope you will join us at some of the following programs and groups. Please visit our event calendar to view upcoming workshops. For the specific dates, please visit the Barker Event Calendar. New members are always welcome, regardless of whether they were adopted through Barker. For more information, and to RSVP, please contact Barker’s Family and Post-Adoption Services Department at 301-664-9664 or by email at postadopt@barkerfoundation.org.